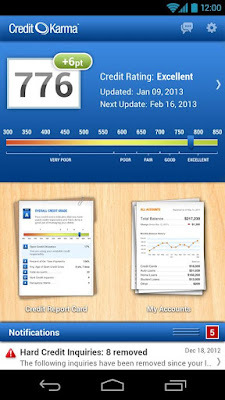 Credit Karma Mobile - The Best Way to Get Your Credit Score ~ Android Forever! Developer Quote: "Get your truly free credit score and free on-the-go credit monitoring with Credit Karma Mobile." 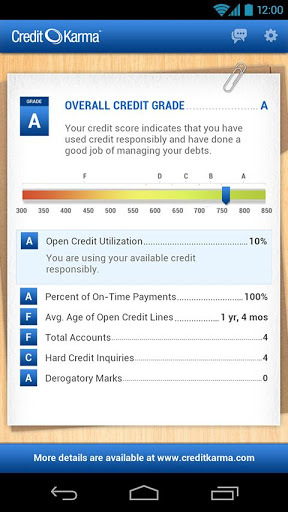 Did you know that in the U.S. you have the right to get your credit report for free once a year from each of the three credit bureaus? Even if you did, you may not have taken advantage of this right because you're concerned about all the scammers using this as a means of getting your money, or because you don't know how to go about it. 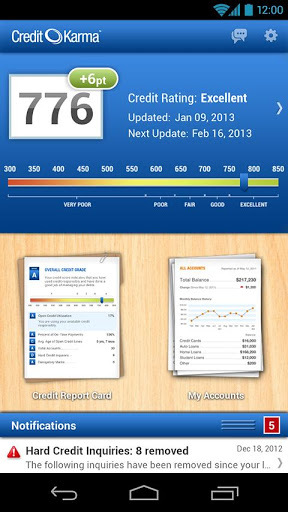 This app makes it easy!